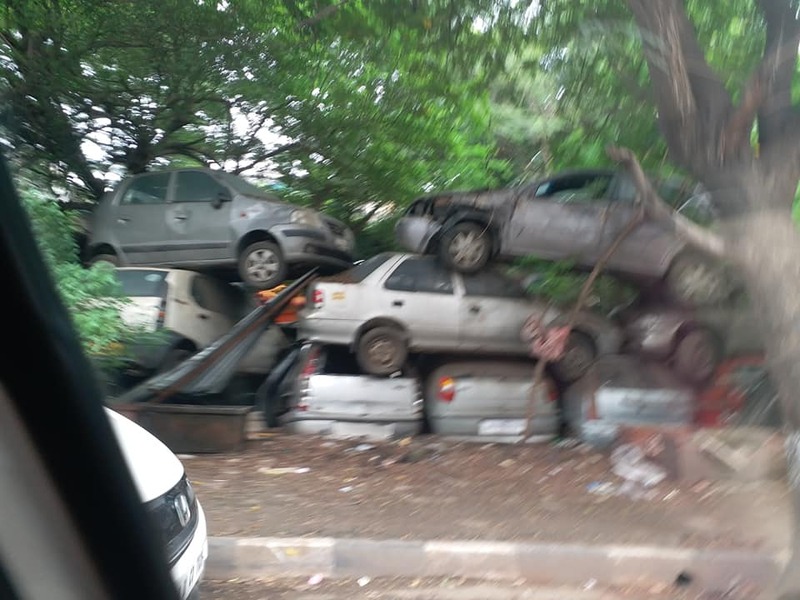 For vehicles that have been abandoned despite notices being sent, Mumbai Traffic Control police will auction scrap vehicles in lots this month. Mumbai branch, Traffic Control police has scheduled an e-auction in collaboration with state-owned e-commerce company, Metal Scrap Trade Corporation Limited (MSTC). The items are yet to be listed but you can expect all manner of vehicles, grouped as ‘scrap vehicle’. The upcoming auction scrap vehicles listing is vide eA no. 930 and scheduled for 24.03.2019. For starters, Mumbai traffic coppers will auction 350 vehicles. The lot is part of a larger cache of 1,500 vehicles the force has seized between the months of October 2018 to February 2019. The total haul counts 1,500 abandoned vehicles. It has come to this, following a Bombay High Court order back in July 2018, which directed coppers to remove vehicles parked in a no-parking zone for over 10 hours. MSTC, charged with the auction is drawing from their experience of a similar auction held in Madras last year. As is due process, abandoned vehicle owners were sent notices regarding the matter. However, with responses being bleak, the police have completed required formalities to get together a lot of 350 vehicles for the auction. Of the 350 auction scrap vehicles on offer, about 140 are about 10 years old. Given the state of abandoned cars, and their aged state, a great part of the auction lots will be sold as scrap, crushed and salvaged for metal parts. The sight of abandoned vehicles taking up a spot of public roads is a menace, and over time, they quite literally naturalise in the environment becoming home to plants and weeds. 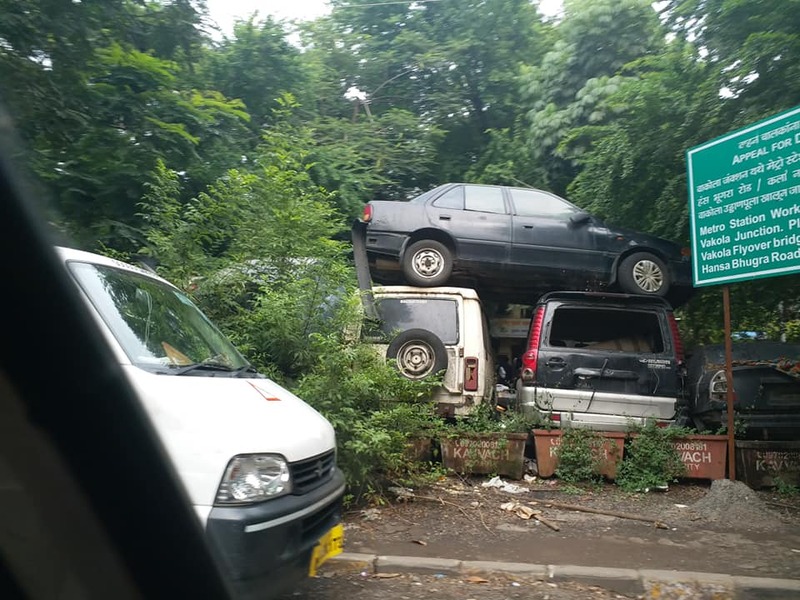 The order to remove such vehicles, gives the police force the responsibility to remove abandoned vehicles. Carried out regularly, they could help clear up public spaces. In disposing abandoned vehicles, traffic police is required to contact the regional transport department to acquire vehicle owner details. A notice is then sent to the owner, and if there’s no response, the area police station sends a second notice. Failure to respond results in the vehicle being seized. Following this, the court is approached to either scrap or auction the vehicle. From application to process order, the wait time is about six to eight months, and coppers are required charged with parking and maintaining the vehicle for this duration. Earlier in the month, Bandra police cleared a plot allotted for construction of Mumbai Police’s residential quarters. Coppers would park seized and abandoned vehicles in the plot that not only delayed construction plan but always contributed to traffic woes.